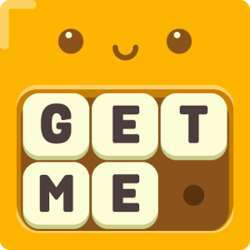 Full walkthrough Sletters — Free Word Puzzle you can see here. This game a fun and exciting of creating words by sliding letters,Sletters is a throwback to those iconic word puzzles that exercise the mind while challenging you to use your creativity. The object of Sletters is to slide letters in any direction however many times you need in order to form the words that appear on a predefined list. Finish the list and move on to the next level! Nothing though,is as easy as it seems. The trick is to work quickly without coming to a dead end. You are allowed to SWAP letters however, should the board become too difficult.